This may have slipped a bit under the radar, but it's been 25 years since the low-key debut of an indie supergroup was released in 1992. In this age of ubiquitous pop-culture anniversary celebrations, that news could portend a re-release, a tribute show, or any number of walks down memory lane. In this case, there's another significance as well: 2017 is the year Luna becomes eligible for the Rock 'n' Roll Hall of Fame. Of course, a group once dubbed “the best band you've never heard of” by a national music magazine [Rolling Stone magazine, 199?] isn't likely to be inducted to such a commercial monolith any time soon, but as that appellation indicates, the quality Luna has shown over the years is certainly at Hall of Fame level. Hailing from three good-to-great independent outfits (Galaxie 500, The Chills and The Feelies), the original trio found a captivating style from day one which was only enhanced by the addition of a second guitarist after the debut. 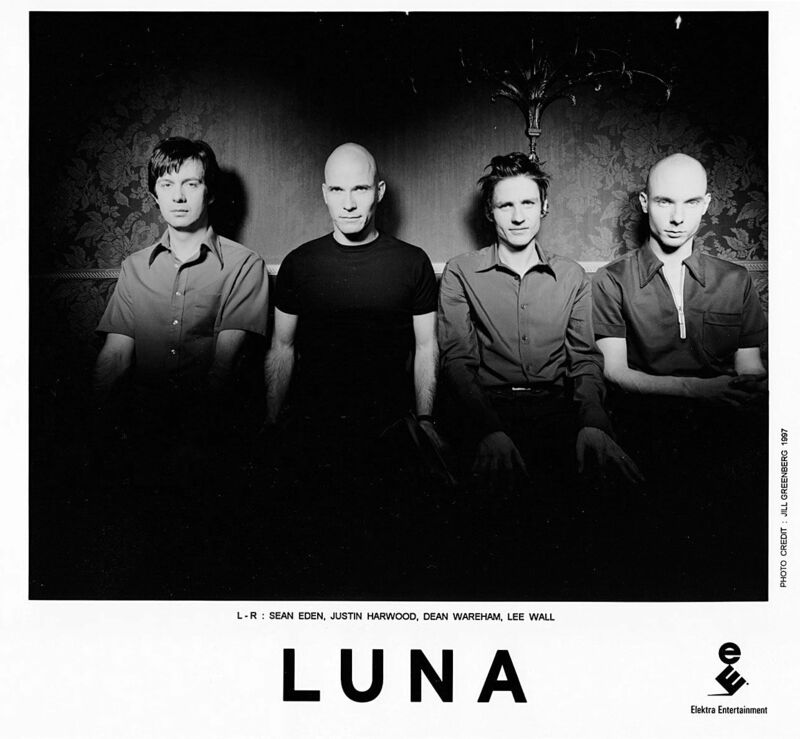 In the 90s, Luna was already in my contemporary pantheon at a par with my favorite grunge, lo-fi, and Americana artists; today, Luna sounds more timeless and perfect than any of them. Focus on critical perception rather than critical mass, and you'll notice the band's resumé is comparable to many of the already enshrined: The first three albums were all exceedingly well-reviewed, and the following records all have their partisans. The third release, Penthouse, is considered an indie-pop masterpiece, and they boast terrific singles, some groundbreaking covers (especially Bonnie and Clyde), and a sound of their own which managed to carve a small niche in the well-trod ground of rock. Their enthusiasts might even argue that Luna is too good for the Hall, and they'd have a point: a quick perusal of the honorees shows an ever-diluting list rife with lightweights and mediocrities. Bands of their cultish status are rarely included, Velvet Underground aside, and were it not for some genuine immortals on the soul/R&B side, you could arguably make a Hall of Fame of semi-popular artists that would rival or exceed the mainstream institution. That said, Luna doesn't even get the respect it deserves from people who know and love more obscure music. Part of that is that their music comes off as direct and yet is surprisingly deceptive, benefitting greatly from additional plays as you notice layered subtleties in the lyrics and music. Their music has grown on me, and I say that as one who fell in love with Penthouse from the first time I heard the opening bars of Chinatown. 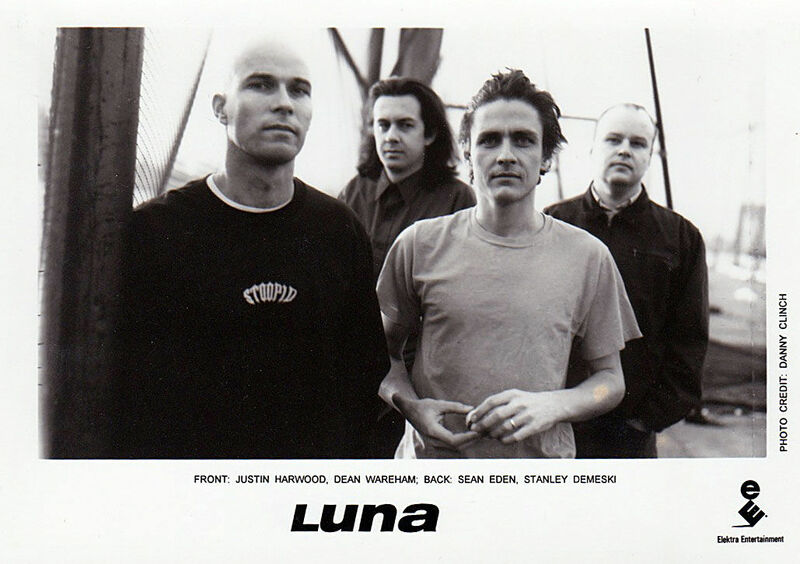 In the 90s, Luna was already in my contemporary pantheon at a par with my favorite grunge, lo-fi, and Americana artists; today, Luna sounds more timeless and perfect than any of them. Yes, they do. It's interesting because they play the songs virtually verbatim but still take things up a few notches. I think the key is the rhythm section: drummer Lee Wall is always locked in, but can work the cymbals a la Nirvana during the peaks; bassist Britta Phillips plays melodically and actively, yet with a strong, full sound. To top it off, the guitar interplay of Eden and singer Dean Wareham is similarly dynamic. As for the resumé, their batting average is enviable. 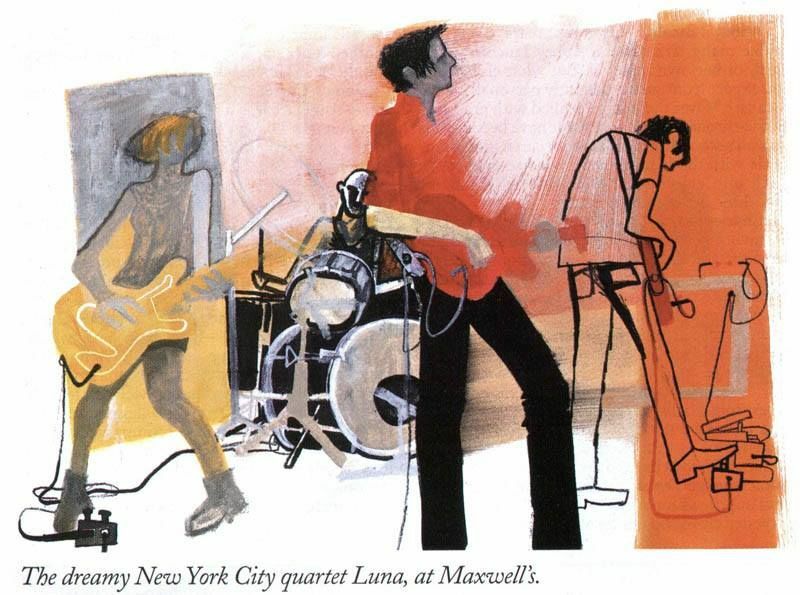 The debut Lunapark has a couple of dead spots, but may have the most high points of any of their work (with the first three songs alone, Wareham and original rhythm section Justin Harwood and Stanley Demeski instantly exceeded their substantial achievements with their aforementioned prior bands). Bewitched is equally impressive, setting the template with jam pieces (Friendly Advice), airy perfection (Going Home), and witty, literate pop (California (All the Way)). Even though the first two albums featured numerous moments of greatness, they hit their stride with Penthouse. A big part is the production, suited to their style like no recording before or since. The midpoint 23 Minutes in Brussels and capper Bonnie and Clyde really tie the room together, and allusions to Nixon, Tolstoy, Terry Tolkin, and the guy from The Falcon and the Snowman keep things riveting. The engineering of the follow-up, Pup Tent, did not fit as well, but it's still loaded with good songs. Side one is a knockout, and it shows how deep their catalogue is with several gems they never/rarely play live: IHOP, Beautiful View, Bobby Peru, and Beggar's Bliss (in addition to the terrific title song, which is on semi-regular rotation). Side two is bookended by one of their catchiest rockers (Tracy I Love You) and one of their most successful experiments (Fuzzy Wuzzy). The last major label release Days of Our Nights and the independent debut Romantica suffer by comparison, but they both have some nice tracks and on a recent listen following their vinyl re-releases held up better than I remembered. Then, out of nowhere came a near-perfect EP, Close Cover Before Striking. It's got two form-fitting covers of the Rolling Stones and Kraftwerk, yet the best songs on the album belong to Luna: especially Teenage Lightning, with Astronaut and The Alibi close behind on the medal stand. That gave them momentum going into their finale, the return-to-form Rendezvous. It's closer to Pup Tent than Penthouse in terms of overall strength — still, pretty rarefied air. Speedbumps and Malibu Love Nest rank among their best, and the Eden compositions are a terrific change of pace: the best one, Broken Chair, is a revelation that makes you wish he'd been pitching in one per album the whole time. Their recent three-show residency in San Francisco — in which they played Bewitched, Penthouse, and Rendezvous on consecutive nights — brought teeming Bay Area crowds and a devoted contingent from several states and countries (Canada, Philly, Chicago, Maryland, and Sweden just among the people I met). Any one of them would readily shell out whatever it takes for Luna's Hall of Fame induction. But any venue where we can see them will do.